When I say flip-flops what is the first image that pops into your head? I bet I can guess, white sand beaches, painted toenails, waves lapping on the shore, the aroma of sunscreen. Perhaps a drink in one hand, and a book in another. You’re not thinking about your flip-flops at all are you? Yet OLLI is changing the world with flip-flops. If you asked the same question of the Co-Founder of OLLI, Heather Shuster, you’d get a different answer. When the former teacher arrived on a beach in Hawaii to find out she had forgotten her flip-flops, her journey quickly became less focused on simply finding a pair of shoes and more attuned to her carbon footprint. Heather’s disappointment in the lack of comfortable, reasonably priced, eco-friendly shoes quickly became a crusade. Inundated with low quality options that hurt her feet, and the environment, she was determined to source a shoe that wasn’t cheaply made with harsh chemicals. If you’re like me, you live in flip-flops during the warmer months, but bare skin swaddled in phthalates, a group of chemicals used to make plastic more soft and flexible, isn’t the relaxed vibe I’m looking for. And if that doesn’t scare the PVC out of you, go ahead and google “phthalates” for more reasons to quit plastic. Sustainable fashion isn’t new. From A-list celebrities participating in red-carpet Green Dress Challenges to tourists looking for eco-friendly beachwear. Renewable and biodegradable has long been the popular choice for consumers looking for clothing and accessories that make us look good, and also helps us feel good. In pursuit of an earth-friendly flip-flop Heather decided to team up with her sister Holly. 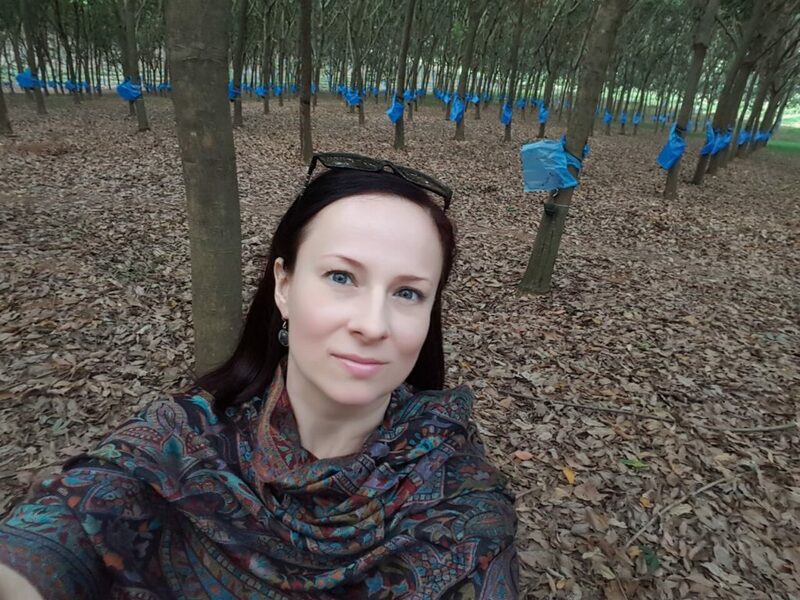 Together the Shuster sisters journeyed to Southeast Asia in search of natural rubber. 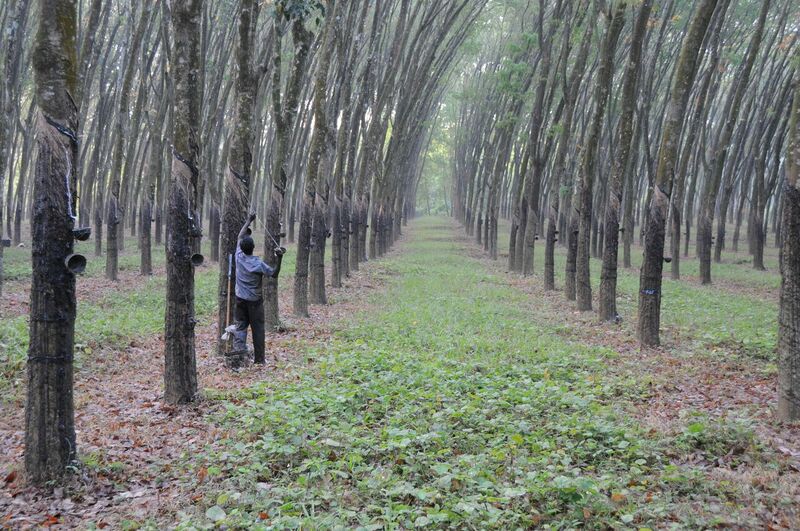 Natural rubber is collected through a system very similar to the collection of maple syrup. 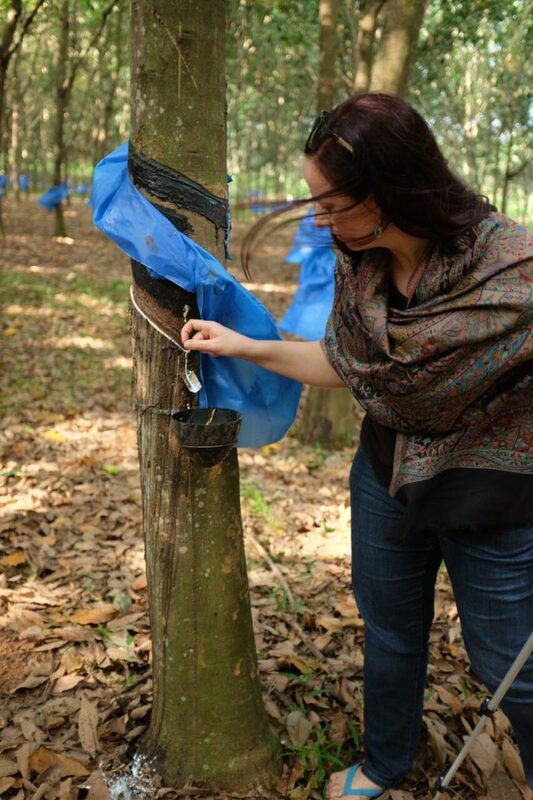 The rubber is extracted from a rubber tree (Hevea Brasiliensis). A “tapper creates an incision in the tree and the milk is collected in a cup. The sisters soon learned that eco-friendly didn’t necessarily mean humane. 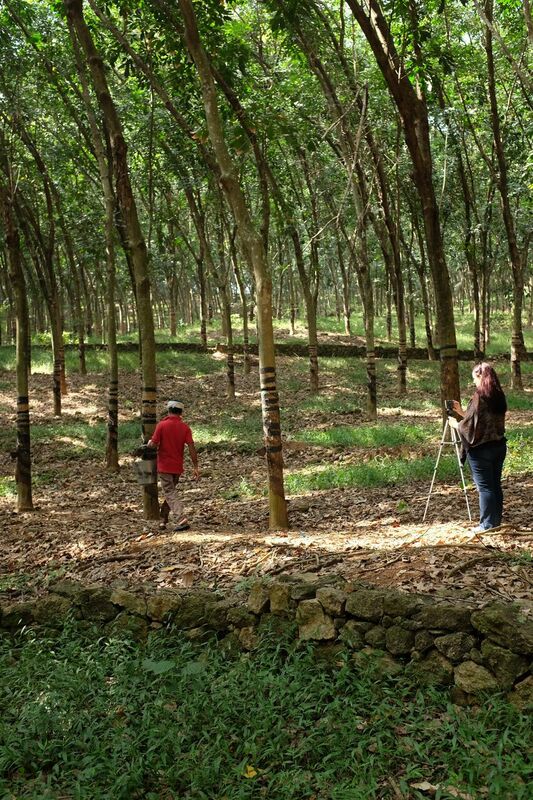 During their travels they were witness to poverty and exploitation, and were shocked by the living conditions of many rubber tappers. This could have been the collapse of their dream, instead it energized them. Heather and Holly persevered, insistent on becoming the solution to the problem. With more research, they came across the Fair Rubber Association and from there OLLI was born. These striving sibling entrepreneurs were now able to source the natural rubber, and also ensure safe and fair working conditions for the tappers. 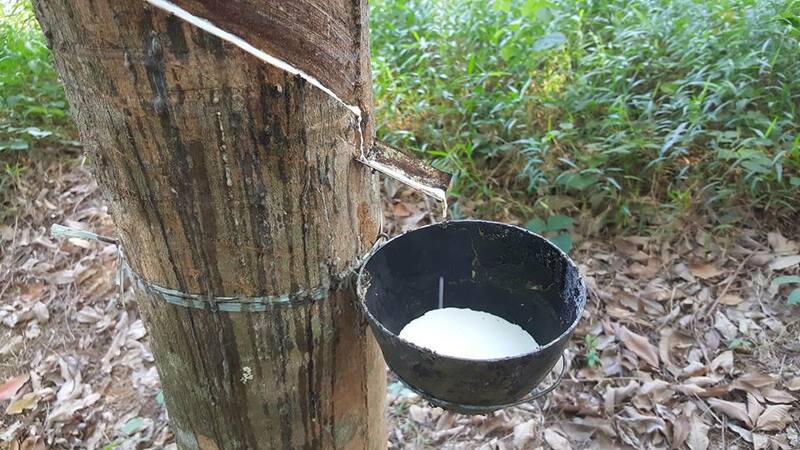 OLLI pays a premium for the natural rubber to ensure these workers receive fair wages, medical care and safe working conditions. Every purchase literally changes a life. 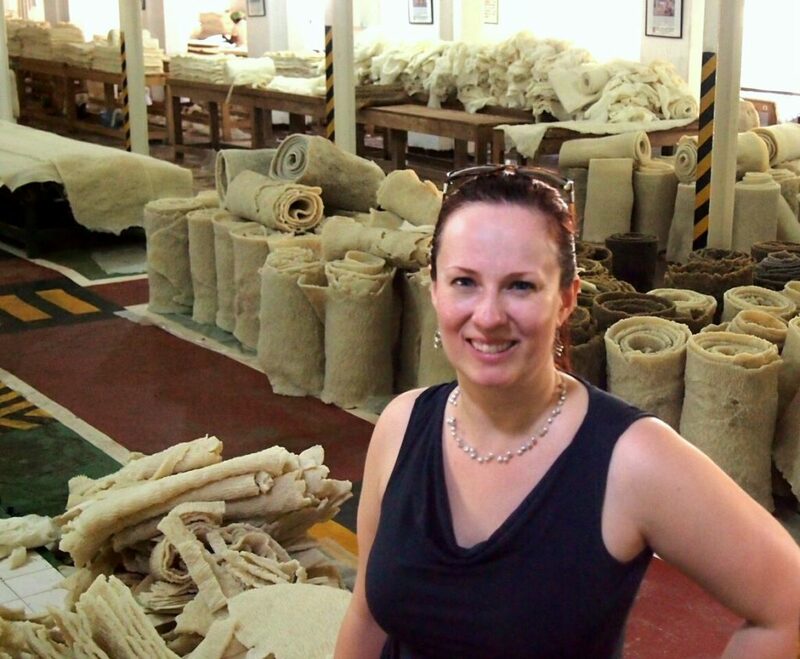 Heather has personally visited every factory they work with in Sri Lanka, proving her passion for the product, process, and working conditions for the people who make these fair trade flip-flops. So, what about the final product, and how does it stand up to the cheaply-made, over-priced, and chemical ridden competition? OLLI sent us a pair to try for ourselves, and here’s the verdict. To be honest, I was skeptical. In my experience products that are trying too hard to be everything often fall short. I thought that while the natural materials were a dream come true, the actual fit and comfort could be lackluster. My test shoes arrived just in time for Spring Break and slipped nicely into my southbound luggage. For 8 days I lived in these shoes, escorting me on shopping trips, beach dates, and even an afternoon spent strolling on a boardwalk spotting manatees. The first thing I noticed was how much softer they felt than my other flip-flops. Also, they were much more flexible and comfortable. After wearing them for several hours I didn’t feel the fatigue in my feet that I usually get while wearing flip-flops. I also didn’t experience the chaffing I usually do when breaking in a new pair of sandals. It was like they were instantly broken in. 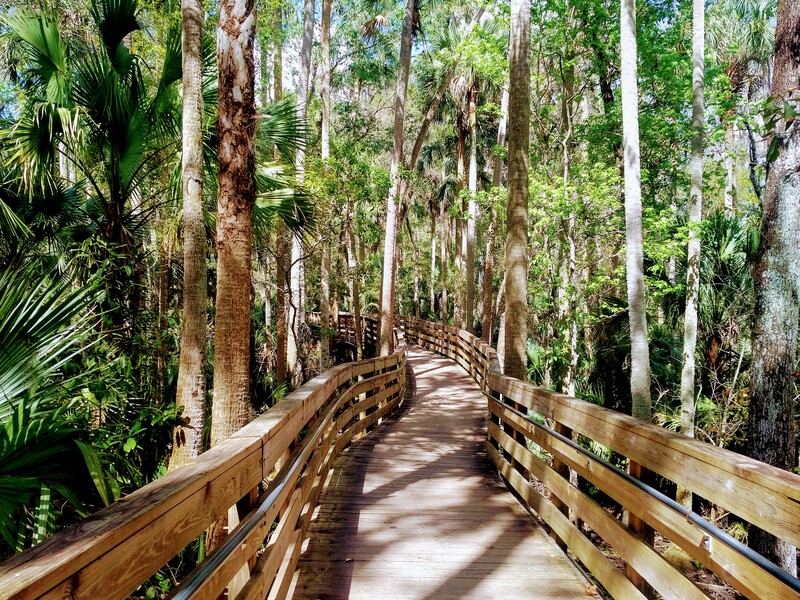 Even while hiking on the boardwalk, which I typically wouldn’t do in flip-flops, I felt no discomfort. So, let me get this straight, natural, chemical-free, sustainable, renewable, blister-free, softer, more flexible than man-made, longer lasting, fair-trade, guilt-free fashion, with a mission to make the world a better place? Sign us up! OLLI is in pre-launch right now, which means when you head to their Kickstarter Campaign you can have these little eco-friendly miracles at distributor cost until April 12th! After the Kickstarter campaign, the shoes will be available at OlliWorld.com retailing for $29. They come in a range of colorful styles and unisex patterns. Shipping is offered worldwide. 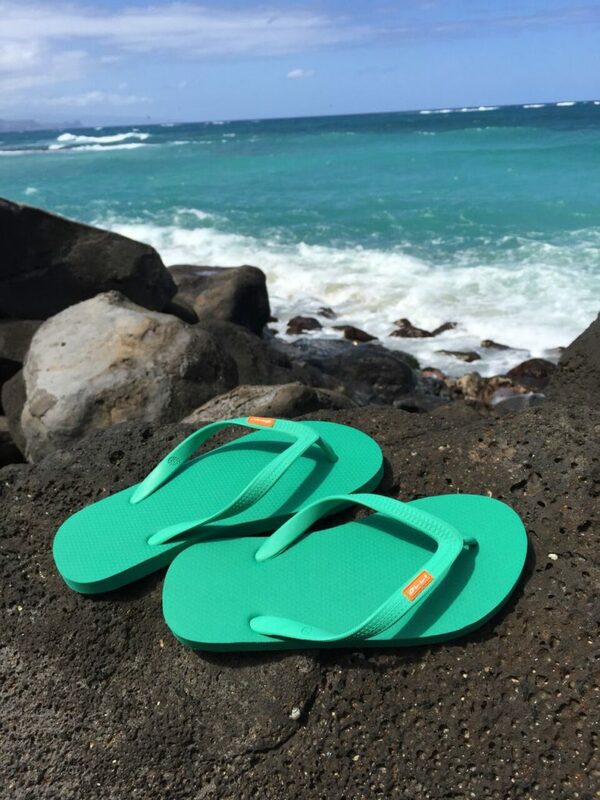 OLLI is giving away 3 pairs of their Earth’s favorite flip-flops absolutely free exclusively to TryBelle Magazine readers! Receive a bonus entry for following us on Instagram @TryBelleMag and commenting on our OLLI Giveaway post. Giveaway contest begins at time of publication: March 30, 2017 and ends April 13, 2017 11:59pm EST. Winner(s) will be randomly chosen and notified by email by April 21, 2017. Winner(s) must reply to notification email by April 28, 2017 11:59pm EST. This is a sponsored post and your gift comes directly from Olli. Go ahead and enter now so you can change your world and walk the walk this summer in earth’s favourite flip flop by OLLI. i am ready to trade in my flip flops for these because it’s time to have high quality shoes! I am ready to kick my expensive, cheaply-made flip-flops to the curb because I want and desrve better. Ready for a change in Canada! I’m so sick of battling so hard to do the right thing! Its great to know a brand of shoes has got it all. My health is important and I work wayyy to hard to feel healthy to ruin it with chemicals! But I don’t want other people to be harmed in the process, these are perfect! I am ready to get rid of my expensive flip flops that are cheaply made BECAUSE they are over priced, over-hyped, and they count on ME being foolish enough to overpay for an inferior product!! I am ready to kick my expensive, cheaply-made flip-flops to the curb because the most important factors are important in my eyes. I have shared on twitter, Google+, facebook, pinterest, and like TryBelle Magazine’s facebook page. 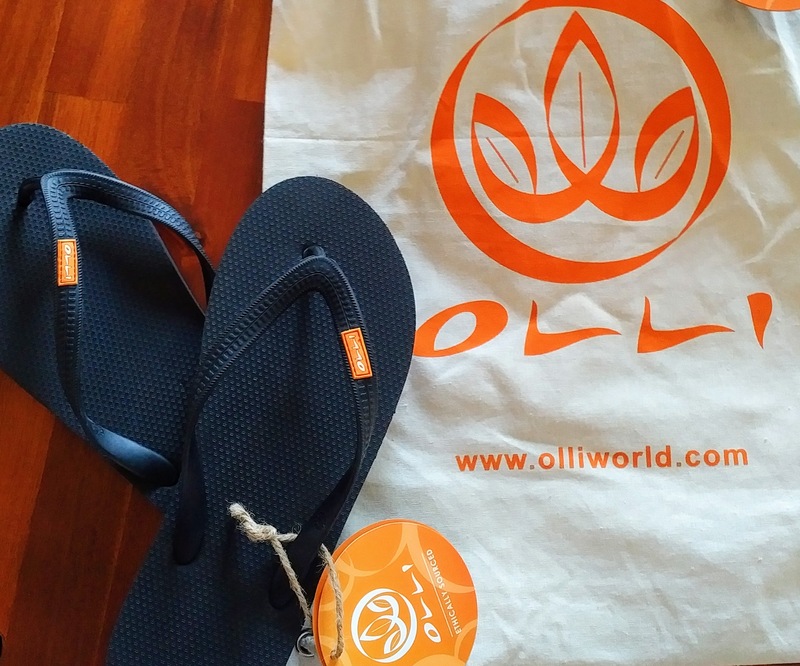 I am from the awesome USA and I would love to trade my flip flops that are uncomfortable and made out of god knows what for a pair by OLLI that is chemical free and especially blister free, sounds like a no brainer to me. flip flops of poor quality. Need to upgrade. i want better flip flops that can hold the test of time and these flip flops can do that. i am from the united states and did the extra entry. I’m ready to kick my cheap flip flops to the curb because the break and hurt my feet. I shared @sarahfe60201169, followed on instagram @sarahjferg, liked on FB Sarah Ferguson. I’m in Canada. I am ready to kick my old flip-flops to the curb for a chance to win these. I am in the USA. I followed on Facebook and Instagram . I would love to win these fabulous Flip Flops ready to change in Winnipeg, Manitoba Canada! I have none to trade because I gave mine to the daughter of my Cassa owner in Cuba! I’m ready to be cheap! I love that they are ecco-friendly! I am ready to kick my cheap flip flopd to the curb to replase them with a smarter, greener & sensible flip flop ? Following on Facebook, Twitter, and Instagram. I need flip flops for the hot summer days in New York City !! I’m in the US. I’d probably give as a gift as don’t wear flip flops. I’m here in the United States, and I’m ready to ditch my old flip flops for a pair that are eco-friendly. I am ready for new flip flops because my dog chewed one up when he was a puppy. The wife needs some nice flip flops as its mad to pay for post spa days in Iceland and go in £1 shop flip flops. Usa here, I am ready to kick my cheaply made flip flops for some new comfy and reliable ones. I’m so ready to flip my flops away because although they look cute, they are extremely uncomfortable, especially when I walk quite a bit ! Puerto Rico over here. I want to trade my flip flops because they are cheap and dont look cute like Olli… I am bless sorround by beach and sand!! I don’t like those yucky flip flops, I refuse to wear them. Hopefully that doesn’t count against me. But yours sound nice, would love to try them. Following you everywhere!! USA here. My old flip flops seem to fall apart. I am ready to kick my flip flops to the curb because they are not comfortable. I also like to feel good about how the product I am wearing is made. I am from Canada. 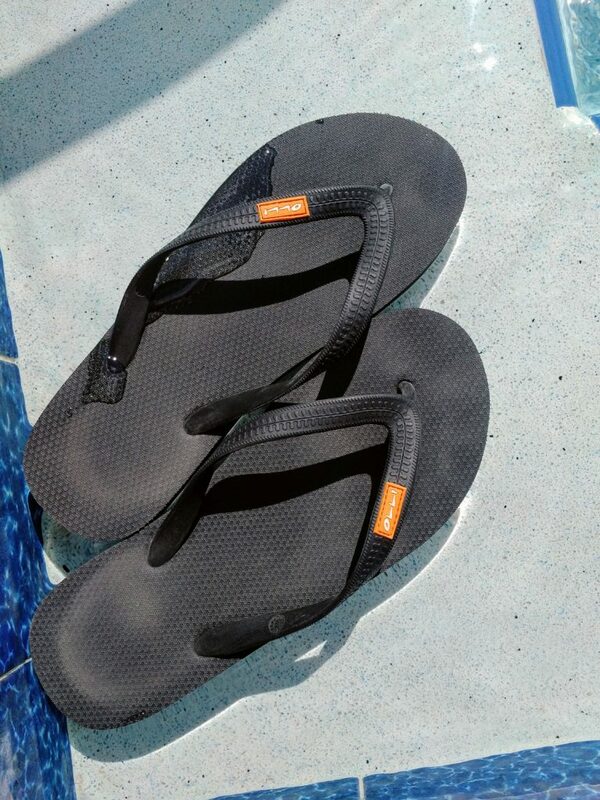 Natural fair trade rubber flip flops are the way to go! Be the change you want to see! Thanks for the chance. I’m in the UK. These look softer than my current flip-flops and they’re also chemical free – brilliant! I am a diabetic and need proper footwear I have given up on flip flops long ago but these seem like a set of flip flops that needs a 2nd look. I live in western Canada and walking is a big part of my day. I haven’t bought flip flops in years because of how they are made. USA – I am ready to kick my expensive, cheaply made flip flops to the curb because they rub my fit and are uncomfortable. They are also bad for the environment. We need somewhere to recycle our old flip flops! I’m in Cambodia. I always wants an earth’s favorite flip flop. I’m ready to kick my cheaply made flip flips to the curb because they hurt my feet and fall apart after just a few trips to the beach! I live in the USA. I’d love these flip flops as I have already thrown my old ones away this year as the one of them split in half! Although I don’t need them much here in Wales, UK I’d still love a new pair for my holidays! I have a hard time finding comfortable flip-flops. These sound like they might just fit the bill. Thanks for the chance to win a pair. I’m ready to kick my cheaply made flip flips to the curb because they hurt my feet and are all scraped at the front. Plus at school we have taught the children about fair trade. We sell fair trade hot chocolate, chocolate biscuits and bananas at our tuck shop on fair trade Fridays. We only use fair trade tea and coffee in the staff room and at parent social and fundraising events. Oops I forgot to say I live in the U.K. I am ready to kick my cheap flip flops to the curb because they KILL my feet! I’m ready to kick ’em to the curb because they destroy my feet, I need quality! I could sure use these. So nice. I am ready to kick my cheap flip-flops to the curb because I wear flips from now thru September and I HATE when they break!! I love to wear flip-flops, but I’m tired of them ripping and falling apart after a few weeks. I’m ready to get rid of my cheapies and start wearing high quality Olli Flip Flops. Forgot to tell you… I’m in the USA. I am from the UK and ready to get rid of my old flip flops because I would rather wear proudly these flip flops with a story to tell. As you already know the flip flops that are readily available cost way to much for the quality. Oh and the way my feet feel after wearing them all day…it’s just not worth it. So I would be honored to win a pair. Good luck everyone! USA- oops! Sorry I forget? USA- oops sorry I forgot! I am ready to trade in my flip flops because I go to the beach all the time. I want some great flip flops like these. Thank you, I love the way you write! USA here. I’m ready to trade my flip fops because I love how they’re sustainably made, among many other reasons. I’m Canadian and I’d like to have the most environmentally friendly flip flop available! I’m always looking to try something new and see if it is better! I’m ready to kick the cheapo’s to the curb, because I practically live in flip flops and want the best! YES! Get rid of my Old Navy flip flops forever!! I’m in the USA. Thanks for the chance to win! Ready to kick mine to the curb. Because they are old and worn out. I live in flip flops most of the year. It would be great to have some quality flip flops! Commenting from Canada. I am ready to make the change to these awesome flip flops because they are sustainable, and is better for the world in general. I have shared on twitter, and I’m from Canada. I want the kind of flip flops that i grew up with in Australia and have never kicked the habit while living in Canada. I am either barefoot or wearing flip flops as soon as the snow dissapears, and allway’s on the lookout for some nice comfortable rubbery flipflops that don’t hurt the feet. YES, my Prada flip flops are all ready to be traded some I want some comfy ones that don’t hurt my feet! I would love to have these because the ones I have aren’t even comfy anymore! I’m so ready to kick my cheap made flip flops off! While walking down my garage steps the strap broke, came out of the bottom. The shoe folded and half and I fell a few steps. Hurt myself, I swore off cheap flops, but my good ones are now worn out and would love to win some! Thanks for the chance! Really want to do something sustainable for the planet.Am from Mauritius! The thong part keeps popping out so it would be good to have quality replacements! I want a pair of flip flops that last, and won’t run flat after a few months. I’m from the USA and I’d love to own a pair of well-made flip flops that I can feel good about! Thank you! I am from the USA. I like to have several pairs of flip flops per season so good quality and better for the environment is a plus. I’m ready to kick cheapo sandals to the curb. They are never comfy and they definitely don’t last through the summer. I’m in Canada. High quality, sustainable – sounds great to me! It’s about time I knew where my products come from and what goes into to making them… And they’re cute. (USA ?? From USA. What a totally cool giveaway, I’m just so in love because I have yet to invest in ANY pair of flips for years & years for all of these exact reasons. So buh-bye to all those old memories of flips all summer long in College & Highschool, these are my super-new-adultlike-filled-with-wisdom-Flips-of-the-Future. Again, total thanks for this super giveaway! I am from Canada. I am ready to trade my flip flops because I have to keep replacing them because they break. I live in Louisiana. I wear flip-flops everyday. I’ve gone through so many, it’s not even funny. I recently tossed an old pair out because I wore a hole in the bottom of both of them. They weren’t pretty but they were comfortable. I’m now in a crappy pair of Old Navy flip-flops until I can find another pair of comfy ones. I live in Mississippi,USA. I’d love to win flip lops that will last. They are “green” and affordable. From Canada. They are lovely and eco-friendly. I live in Croatia. 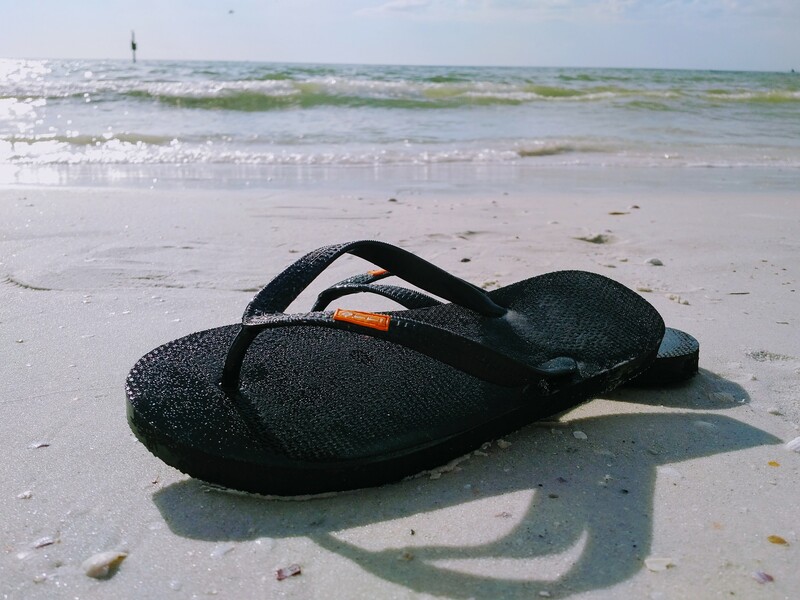 I am always looking for environmentally friendly products and finding a flip flop that is not poorly made of cheap materials that is also kind to Mother Nature is a real bonus! 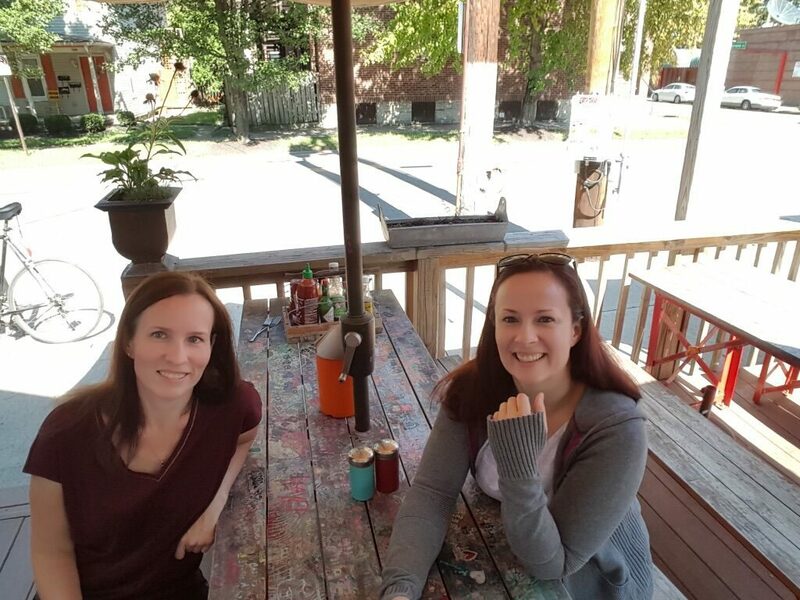 Thank you for introducing me to Ollis! Thanks also, for the awesome giveaway opportunity! Here in the SE of USA we’re flop wearin’ fools. Can’t stand the sensation of cheap flop between my toes. for good quality flip flops. I love flip flops and i live in the USA. We are ready to try better flip-flops than the over priced “toxic” sold here in Canada. My current flip-flops are totally falling apart. I need new GOOD ones!! I like these because they are green and affordable. I am ready to kick my expensive, cheaply-made flip-flops to the curb because the current, easily accessible ones are not made with the planet in mind. Oops, sorry! I forgot to do the rest. Located in the USA. Liked TryBelle Magazine on Facebook. Liked on Instagram, commented on giveaway pic. Shared giveaway post on Twitter. I am ready to kick your expensive, cheaply-made flip-flops to the curb because they keep hurting my feet and causing me loads of discomfort, my feet deserve better. I am wanting to kick my nasty flip flops to the curb as they are so uncomfortable to wear. I’m from South Africa.Im known by my friends for being the organic eco friendly one amongst us so I had to stop when I saw these shoes . firstly this is a great ideaa.But to cut it short I’ve bought aflip flops and they’ve given out while I was in public.i definitely am tired of dealing with that,buying stuff whether it’s cheap or not only for the thing by the big toe to rip? so I’m gonna try this since your review seems trustworthy.Thank you! I’m in the uk and would love kick my flip-flops to the curb because I want a comfortable, natural and eco friendly new ones! 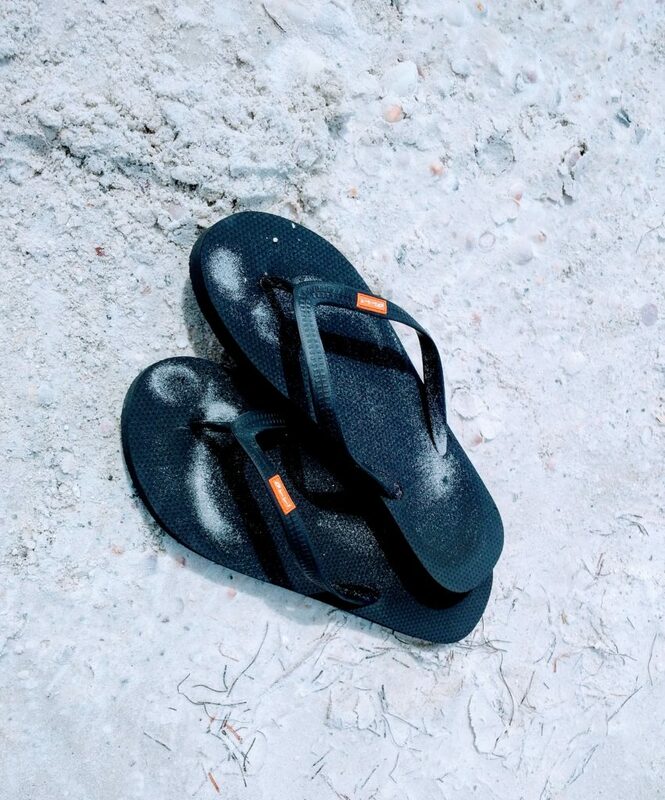 We call these jandals where I come from, and we live in them all summer but, since I am in the UK at the moment, I will just say thank you for the brand intro, the story and the giveaway. I am so excited that I forgot to write that I am from Poland. I’m ready to trade in my flipflops because I want some that don’t fall apart as I’m walking in them! And that look so nice & solid too! 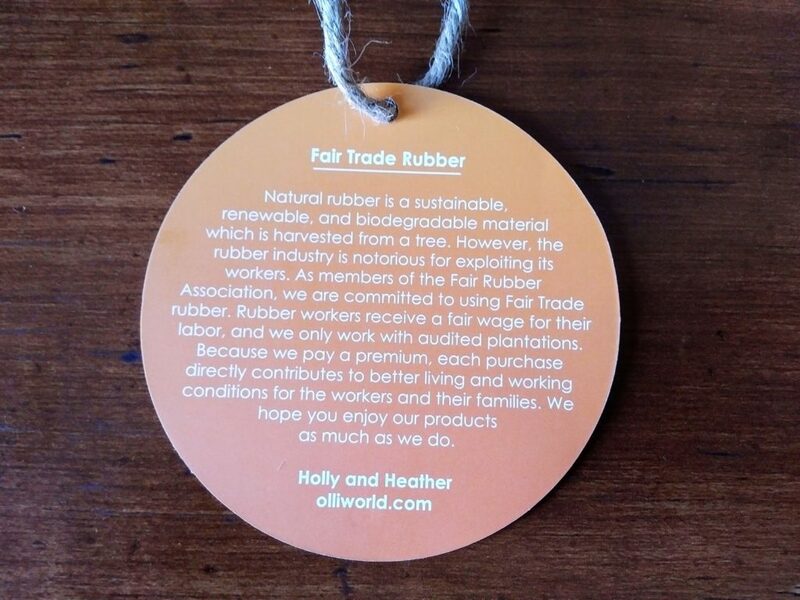 I am ready to trade in my cheaply made flip flops for these because they are made with ethically sourced rubber. These would be great for …SOLE-LY HEAVENLY feet. Thanks for the chance. I’d love to win these as my current flip flops are rather shabby, and these are a gorgeous colour. I’m from the UK. Shared on Twitter, Facebook, G+ and also entered on Insta. I am ready to trade in my flip flops because I am 8 months pregnant and could use good flip flops for the nicer weather! Commenting from Ontario, Canada ? I WOULD TRADE IN MY OLD ONES FOR THESE ANYTIME! I am ready to trade in my flip flops for these because they would be helping the world rather than damaging it. I love the fact that they are eco friendly. UK. I am from the United States and am ready to get rid of my cheap flip flops because of the discomfort, and the color they leave behind on my feet.